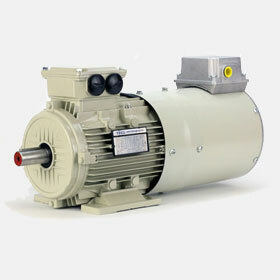 Inverter rated vector motors or variable speed motors are used when speed stability and speed range of up to 100:1 are required (dependant on AC drive performance) a Force Vent and Encoder are fitted. We can supply motors 0.18kW to 18.5kW available in 2 and 4 pole (max 18.5kW - 2Pole) (max 15kW – 4Pole) B5 Flange, B14 Face or B3 Foot Mounted. 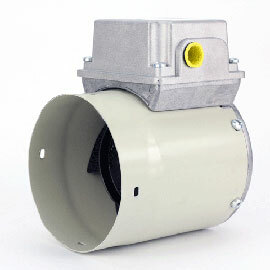 Drive-Tek Inverter rated Force Vent Motors are used when a speed range greater than a standard AC Motor allows typically 4:1 (50-12.5Hz) if you require more than 4:1 then a force vent is required due to heat problems. 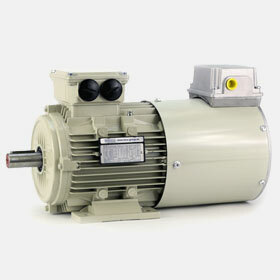 Available motors 0.18kW to 18.5kw available in 2 and 4 pole (max 18.5kW - 2Pole) (max 15kW – 4Pole) B5 Flange, B14 Face or B3 Foot Mounted. 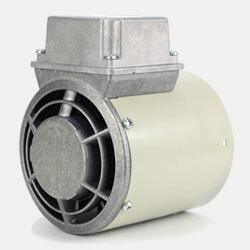 Drive-Tek Force Vent Units are designed to fit the Drive-Tek range of aluminium AC Motors in frame sizes D63 – D160 (0.18kW – 18.5kW) Drive-Tek Force Vent Units are supplied as standard with a capacitor so they can be wired as 230V 1PH AC or 400V 3PH AC. 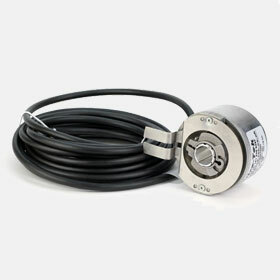 An optional band is supplied should you require a greater length to fit over an encoder. They may fit other AC motors, check inside diameter. Drive-Tek Encoders are available ex-stock in 1024PPR or 2048PPR with 5-32 VDC supply required, 14mm hollow bore and an anti-rotation device fitted , a 1024PPR (Pulse Per Revolution) encoder is sufficient for most applications. However where stability at very low speed (<10 rpm) is required, use of a higher PPR encoder is recommended. Optional stub shaft available for retro-fit.